1" x 30" A/O Sanding Belt 60 Grit, 10 pk. 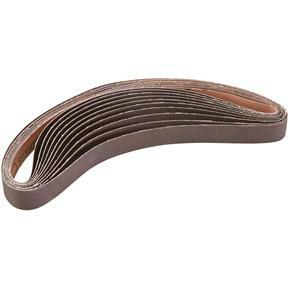 Grizzly H4857 - 1" x 30" A/O Sanding Belt 60 Grit, 10 pk. Extra 60 grit, 1" x 30" sanding belts for Grizzly Model H3140. Pack of 10. Yes i am happy with my order but i have a suggestion, how about once a month cut shipping prices so we can afford to order more i think it could stimulate more sales. Thank you.